Learn to teach Supreme Release Yoga (SRY), an intimately healing practice that can resolve pain and change lives from the very first experience. Dive into the practice and pedagogy of the most fundamental SRY poses to incorporate into your personal practice and teaching. After this one-day immersion, you’ll be practice confidently on your own, and have clear tools to guide groups or private clients through an authentic practice that reliably releases tension, resolves pain, quiets the mind and seats one in the true purpose of Yoga. SRY Fundamentals makes you eligible for advanced trainings with Kaya, including Supreme Transformation Teacher Training (May 17-19). A deeper understanding of how to help students see the value of slowing down, doing less. 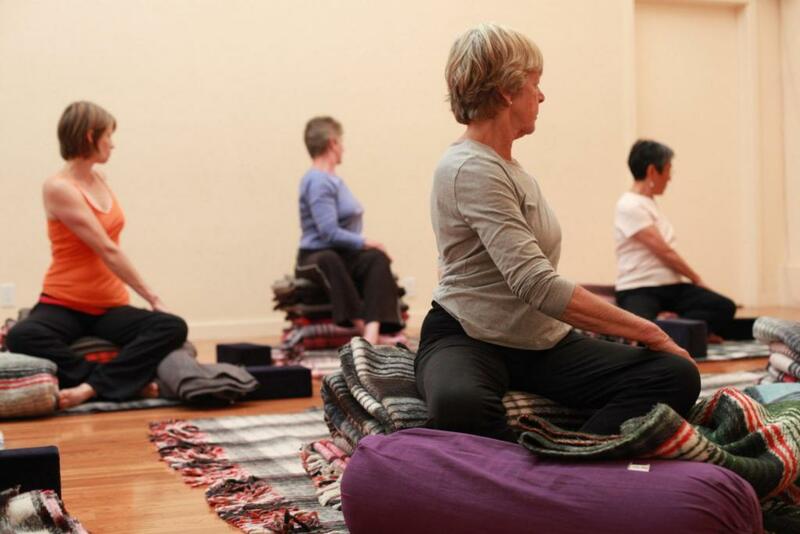 A look at the true purpose of Yoga and how it fits the SRY model of practice. Plus, gain eligibility for advanced SRY trainings, including Supreme Transformation Teacher Training (May 17-19)! Gain direct experience and detailed pedagogy to guide others through SRY practice. You’ll leave clear, inspired and confident with effective tools to help yourself and others with SRY and that gathers the inner nectar of bliss, satisfaction and rejuvenation. SRY is a replenishing, compassionate, blissful, healing and transformative approach. It goes far beyond Yoga for physical wellbeing, weaving together the full spectrum of the Vedic viewpoint. SRY offers an effective framework that peels back the layers of misperception of Yoga to reveal the meanings behind the practices. What comes is compassionate clarity — free from rigidity — that allows each person to experience the nectar of Yoga in daily life. Learn tool-based Yoga therapies, traditional Vedic philosophy for the modern yogi and practical business skills. Hands-On SRY Tools – Learn and practice hands-on therapeutic tools in the Supreme Release Yoga approach to releasing spinal tension. Healing the Healer – Retreat-like immersion in the techniques heals YOU while you simultaneously learn to apply those tools to others. Sharing Sangha – Your community of supportive yogis grows and deepens as you spend time learning, partner pairing and healing together. Kaya is the founder of SRY™ which is based in the full spectrum of the Vedic Yoga tradition. 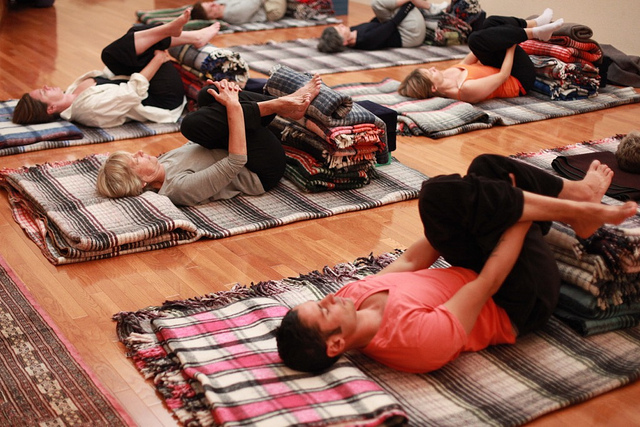 She has been teaching therapeutic restorative Yoga therapy since 2001. Kaya’s work is healing, transformative, deeply rejuvenating, and empowers her student and clients with wisdom and inner experience. Her training in the full spectrum of the Vedic Tradition includes Yoga, Yoga Therapy, Prenatal Yoga, Ayurveda, Women’s Health, Eastern Anatomy, Sanskrit, Vedic Astrology, and Vedanta Philosophy. 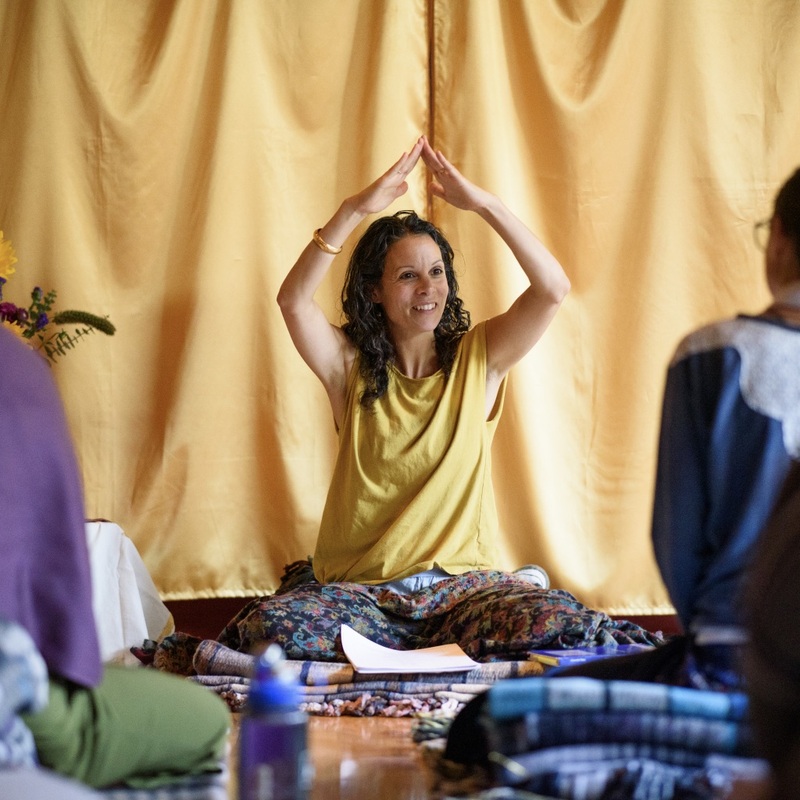 She collaborates with her husband Michael Manzella, a Vedic Astrologer, to serve Yoga students and teachers who are inclined toward depth of inner experience and knowledge. MORE ON KAYA.